Ten days. 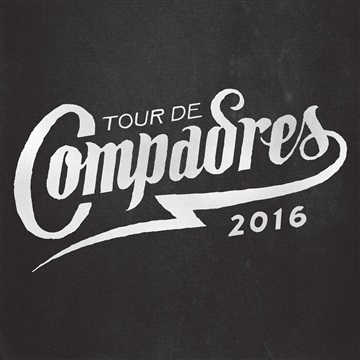 Four songs. One band. That’s what formed the genesis for NEEDTOBREATHE’s latest musical offering, Forever On Your Side (Niles City Sound Sessions) — a new collection of tracks that finds the GRAMMY®-nominated group continuing to push themselves further out on a limb and renewing their commitment to fans, family and one another. Building off the fresh synth experimentation that defined the band’s latest critically-acclaimed LP, H A R D L O V E, which debuted at No. 1 on Billboard’s Top Albums, Top Current Albums, Top Rock Albums and Top Alternative Albums charts, in addition to capturing the No. 2 spot on the Billboard 200, their highest debut to date, brothers Bear Rinehart (vocals, guitar) and Bo Rinehart (guitar, vocals), bassist/vocalist Seth Bolt and keyboardist/vocalist Josh Lovelace intentionally left the distractions of home behind and headed to Fort Worth, Texas. They spent nearly two weeks holed up at Niles City Sound, a studio helmed by Josh Block, Austin Jenkins and Chris Vivion, the unassuming trio behind Leon Bridges’ GRAMMY®-nominated debut. With a studio full of vintage gear and a preference for analog over digital recording, Niles City Sound proved to be just the sonic playground NEEDTOBREATHE was looking for as they set out to craft new music at warp speed. Recording in real time gave NEEDTOBREATHE the rare ability to capture a current snapshot of their musical odyssey. Even though they entered the studio sessions with a handful of strong song contenders, they rounded out any rough edges in record time, caught up in the nostalgic vibe Niles City Sound provided, a theme that even bleeds into the album’s artwork showcasing the band in a classic Oldsmobile. from that toward a different chapter in our lives,” Bo says of the track, which feels like a natural continuation of the band’s story — a narrative filled with its share of ups and downs. 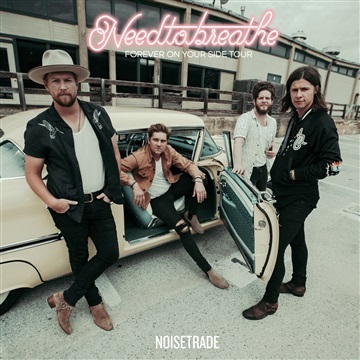 The EP closes with the Americana-infused title track — an homage to those who consider NEEDTOBREATHE their favorite band. “When we wrote the song, we immediately envisioned fans,” Bo shares. “We’re very much a live band and love interaction with the crowd. There are certain songs over the years we’ve been able to share with them where they’re singing with us as loud as we’re singing with them.” With a steady dose of banjo, readymade for a collective singalong, the song embodies a “classic NEEDTOBREATHE” ethos. For their H A R D L O V E release, the Charleston, South Carolina-based band decided to completely alter their creative approach and break into entirely new sonic terrain. The band brought their sixth studio album to life by delving into the world of electronic effects and instrumentation. That included tapping into new inspirations like the bright textures of modern pop, as well as mining longtime influences like “old church music and soul and gospel and all that rock-and-roll stuff that’s got a certain level of swampiness to it,” according to Bear. 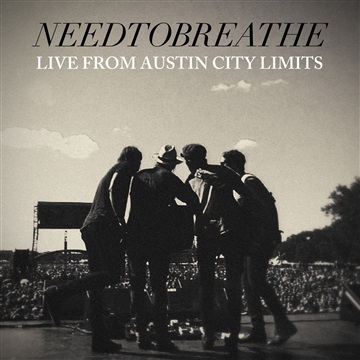 The result: a sublimely crafted and expansive sound that still reflects the larger-than-life intensity of NEEDTOBREATHE’s unforgettable live show. growing fanbase that has followed them from their early days playing small clubs to outdoor amphitheaters and arenas they sell out today. In 2017, they embarked on their most ambitious outing yet, the “All The Feels Tour,” a three-part stint that found the band playing more than 30 hits each night across a mix of fully electric shows and their first-ever acoustic tour. NEEDTOBREATHE isn’t interested in chasing a certain sound or recapturing past success. They always want to be reaching for more, stretching their limits, all the while staying in tune with the people who matter most — the people who make their music the soundtrack to their lives and eagerly fill thousands of seats at their shows.